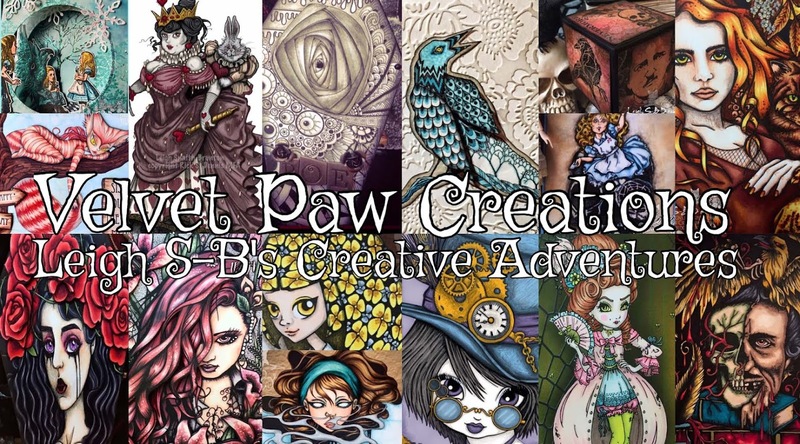 Velvet Paw Creations: "A View From A Window" Fantasy Art Card featuring Lost Coast Designs Border Stamps! "A View From A Window" Fantasy Art Card featuring Lost Coast Designs Border Stamps! 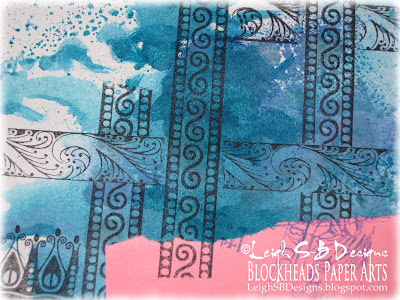 The Blockheads Design Team is playing with ideas for using border stamps and I've been having a ball with the borders by Lost Coast Designs! 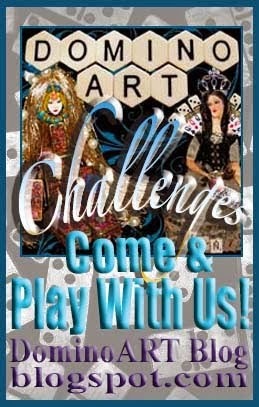 My first project 'Portal To Atlantis' features the Iris Fold technique, my second project 'Codex Atlanticus' demonstrates using the border strips to make a basket weave and a border background collage and my third...wait for it...using the border stamps themselves to create a basket weave. Alas, due to some time constraints I didn't get my 'tight basket weave' project completed in time for today but I was able to get this one with a loose weave design ready instead! Tear Drops (top right), Spiral (bottom left) and Wave (bottom right) to create the loose weave... looks like the ruins of the city of Atlantis don't you think! Blockheads' Fish image from the Seascape - Fishes set and Inky sentiment from my favourite full sheet of Verses completed my card! 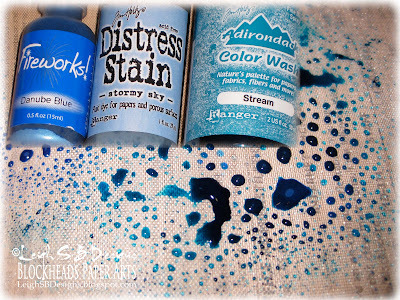 Spritz Stream Color Wash, Danube Blue Fireworks spray to add some shimmer, a few dabs of Stormy Sky Distress Stain and a spritz of water onto a craft sheet. 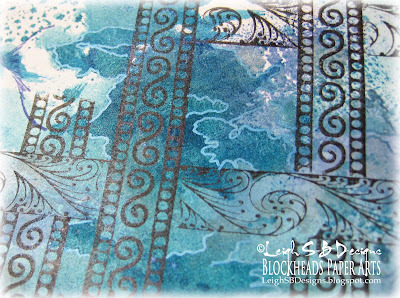 Smoosh a sheet of white cardstock onto the ink to create a wonderfully random watery seascape. 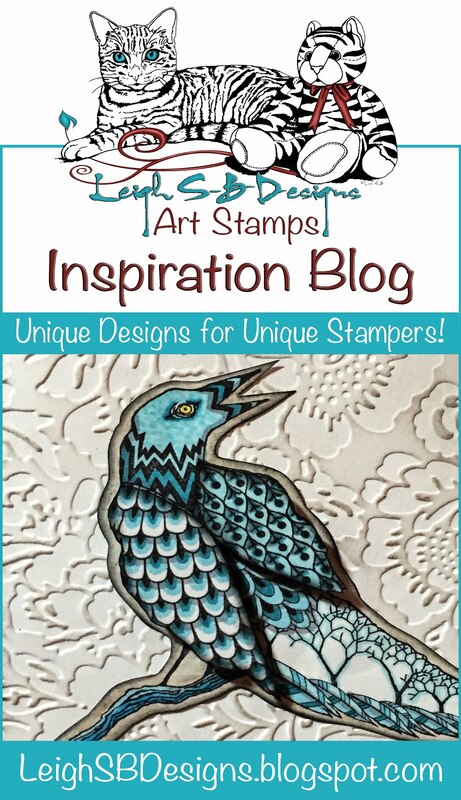 Create the loose weave pattern by blocking off the areas you don't want to stamp with tape and masking off the ends of the stamp with torn post-it notes for a broken effect. 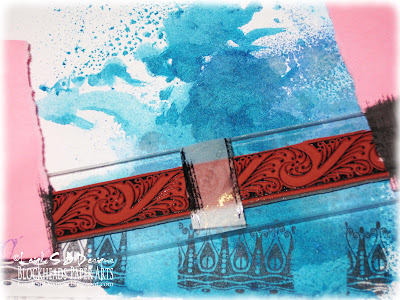 Tip: cut the tape to the size of the border stamp that will fill in the gap. 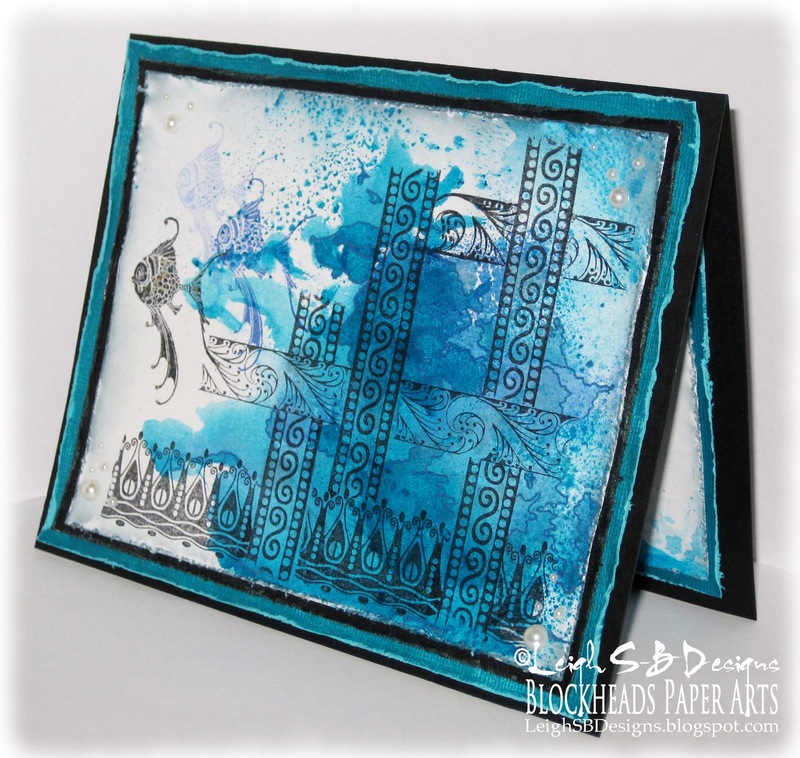 Stamp all the borders with Tuxedo Black Memento ink. Build up a loose random weave - I deliberately didn't want the spacing to be even! 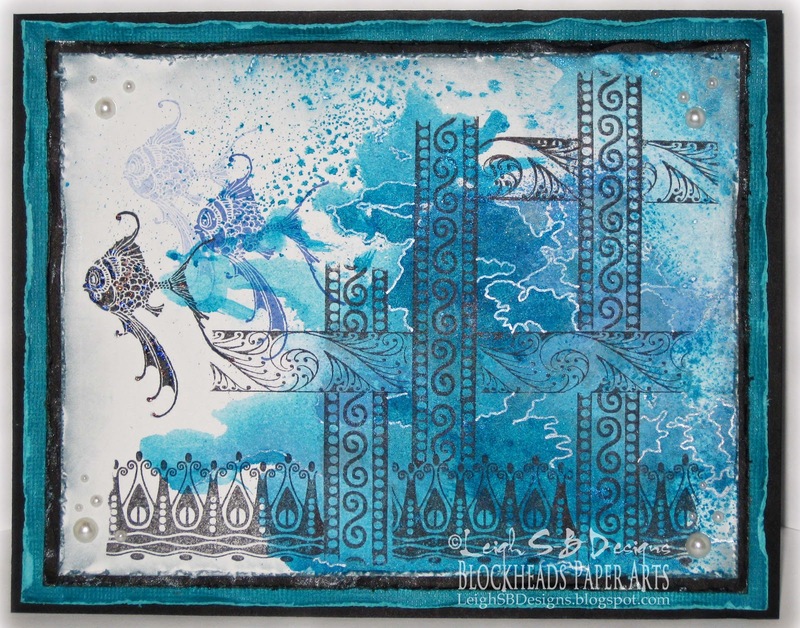 Highlight the mottled effect of the watery background with a metallic blue pen to create a marbled design. 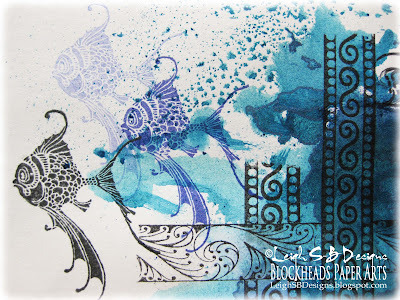 Stamp the fish image first with Paris Dusk Memento ink and immediately stamp it again without re-inking to get the faint image. Then stamp the image again in Tuxedo Black. Cut the panel to size and distress the edges with Tim's Distress tool. 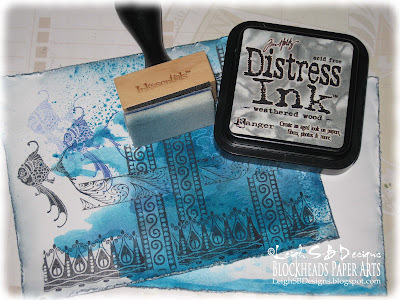 Apply Weathered Wood Distress Ink to the roughened edges with a foam Ink Applicator tool. 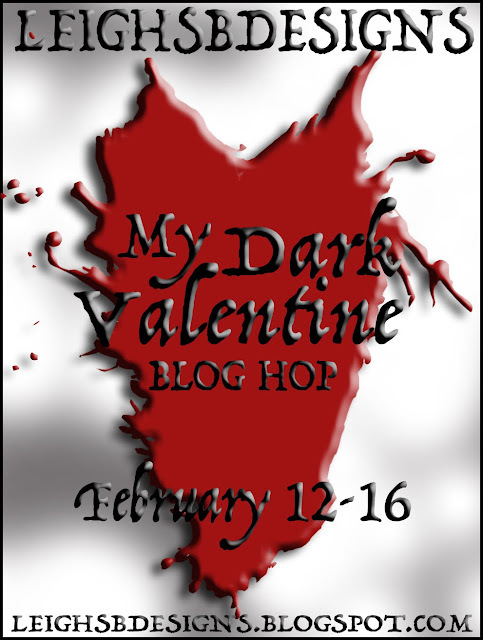 Cut a mat from black cardstock and distress the edges with the Distress tool. 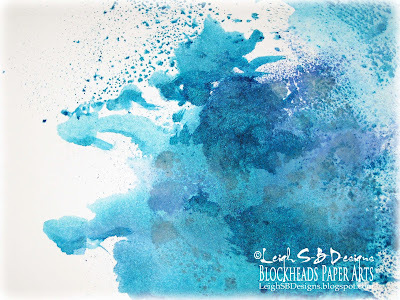 Apply Peacock Brilliance tri-colour ink directly to the rough edges for a bit of shimmer. Cut a mat from a sheet of Stream cardstock from Tim's Adirondack Core-dinations Assorted Paper Pack. It matches perfectly with the Stream Color Wash! 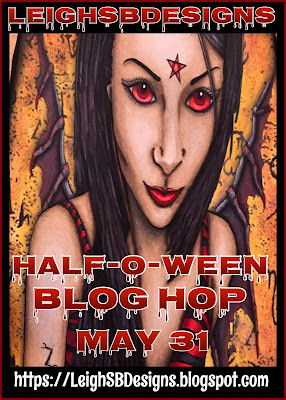 Pssst...it's currently on sale at Blockheads!!!! 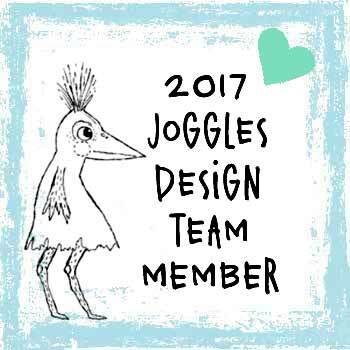 ;0) Rough up the Stream cardstock with sandpaper and then distress the edges with the Distress tool to reveal the aqua coloured core. 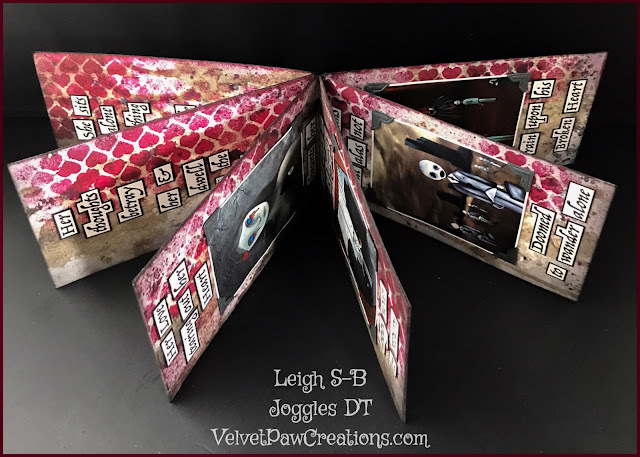 Layer and adhere everything together with double sided tape. 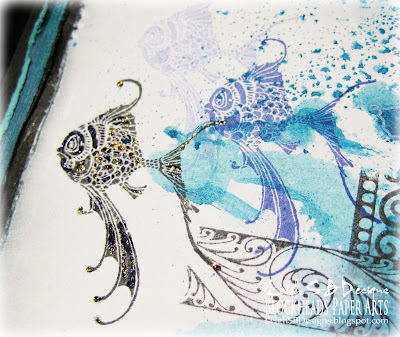 Apply clear Star Dust Stickles glitter glue to the black fish for a bit of sparkle. I also decorated the inside of the card! 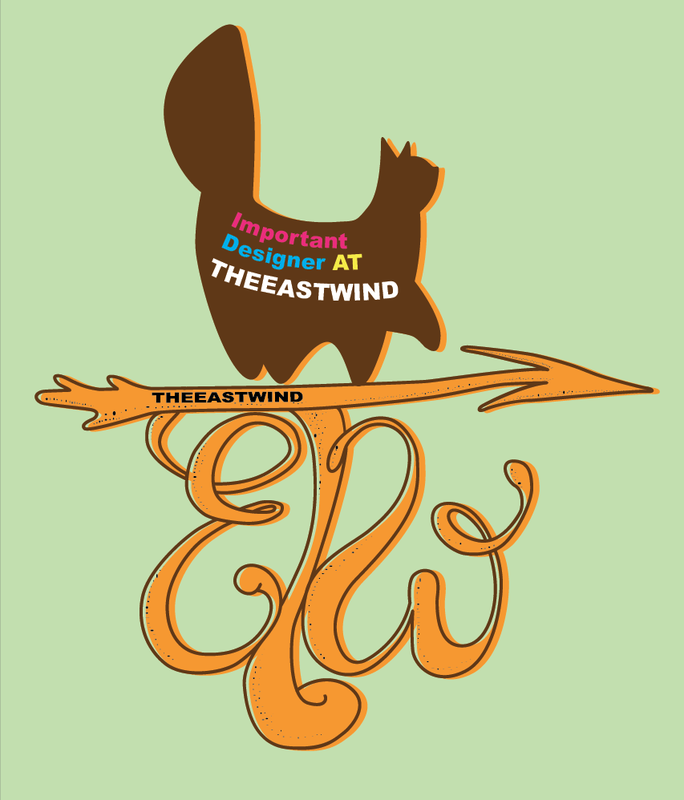 Cut a sheet of cardstock to make the inside panel and smoosh it onto the left over ink on the craft sheet along the bottom edge. 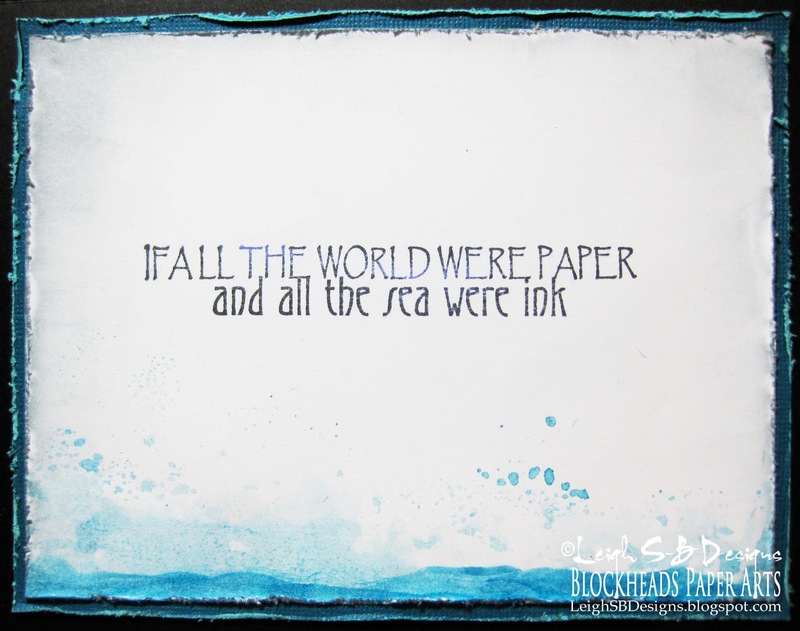 Stamp the perfect sentiment "If All The World Were Paper...and all the sea were ink" with a combination of Tuxedo Black and Paris Dusk Memento ink. 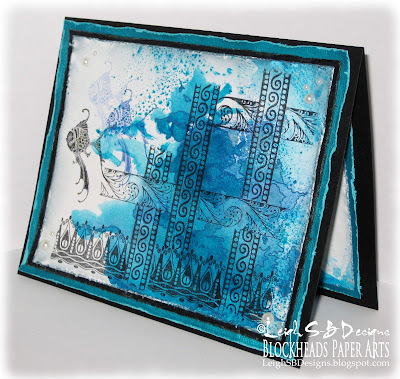 Distress the edges in the same way and layer it on a distressed Stream mat and adhere to the inside of the card with double sided tape. Ooooo we're having a spectacular thunderstorm right now, I'm off to watch....bye!! 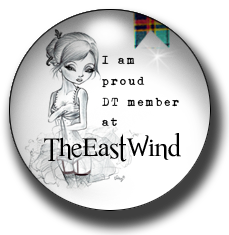 This card is so dreamy! 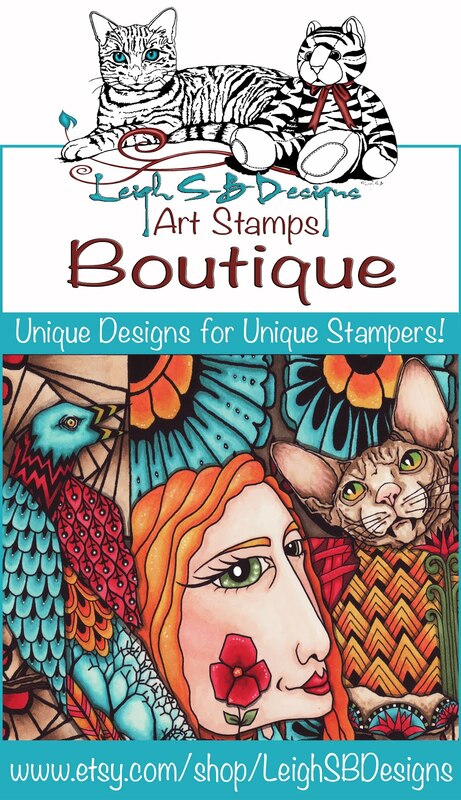 Love how you have "woven" the border stamps!! Absolutely beautiful! I love the colours and the mystical feel of it. 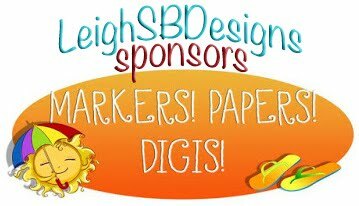 Wow, the way you wove those borders is amazing, Leigh!